For the third year running, the marvelously talented people of The Fine Arts Center in Hot Springs, AR have invited Imagicopter participants to be part of an Event. It will take place on September 8, 2012 and, unlike previous Events, this one promises to be an all-day exercise. At this time, no schedule is available to post as details are being finalized. However, please see The Fine Arts Center website for updates on times, locations, and updates! Horror writer Jimmy Gillentine enjoys thrilling his readers. Bringing a twist to the vampire legend in ‘Of Blood And The Moon’, he continues to see what happens at the night hot spots when you sprinkle in some horrific visitors. 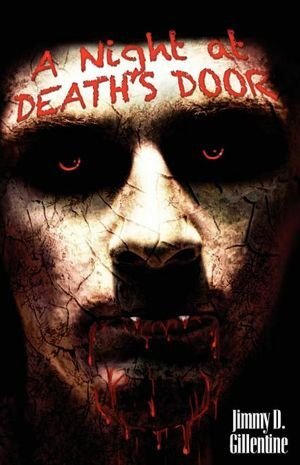 Death’s Door is the club where all the vampires and hangers-on . . . er, hang out. To gain entrance, you have to be picked. Janet and Alice get picked, Curt arrives with a bowie knife, someone brings a crossbow, and the evening grows from there. Come see who’s still standing after a night at Death’s Door. Want to read the book that started it all? When Angela Johnson started working at the bar, Aces High, the last thing she expected is to meet someone like Andrew Bane. Andrew is tall, strong, mysterious and handsome, so she couldn’t help falling in love with him. But when Andrew becomes the target of a local drug ring leader’s hatred, it starts an unstoppable chain of events. The end result: Angela discovers who and what Andrew really is. Can her love survive the horrible truth of Andrew’s secret? Jimmy D. Gillentine grew up with a fondness for horror, science fiction and fantasy flavored with the southern tang of his native Memphis. His novella, “Of Blood and the Moon,” was first published in 2009 and was the first runner-up for the Darrell Award. His most recent publications include a short story titled “Fifteen-Minute Break” in the annual anthology Cover of Darkness and a new novella titled “A Night at Death’s Door,” both from Sam’s Dot Publishing. He is the co-founder and president of the International Brotherhood of Beards and Leather, an association of writers, artists, musicians and confolk. He is also a member of the Literary Underworld and Imagicopter, both author cooperatives. If you want to get on his good side, bring him a bag of popcorn at the Literary Underworld booth; he’s not known as the Popcorn Monster for nothing! Memphis author Robert J. Krog is a marvelous storyteller. Having been bitten by the plot bunny, it does not look like this delightful writer is going to stop anytime soon. We certainly hope he does not. In a kingdom haunted by witches, where vampires hunt in the night, when there are murders but not witnesses, when the method of murder reveals the how but not the who, one calls upon the eye-man to help solve crimes. The eye-man has the answer. It can be found in a bag full of eyes, along with things one does not seek. What is a royal inspector to do? He does his duty of course, though duty can be such unpleasant work. Robert J. Krog was born in 1973. He is a native of Memphis, TN. He is married with two children. Mr. Krog is a devout Catholic and a member of the Knights of Columbus. He has been an assistant arborist for his father, who was a professional arborist. He has also been a grocery store clerk, a waiter for one week, an order out delivery guy for one week, a legal runner, a substitute teacher, and high school History teacher, all in Memphis, TN. He has several degrees, mostly in History, and is putting none of them to good use, though he loves History and can still translate Ancient Egyptian, if he works at it. Currently, he works in chemical yard care and writes as much as obligations to a full-time job, the church, and family life allow. 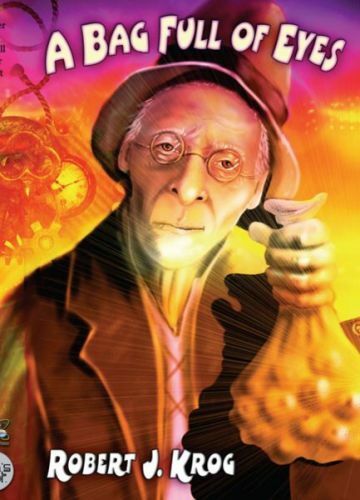 His short stories have appeared in the anthologies parABnormal digest (Sam’s Dot Publishing), Shelter of Daylight (Sam’s Dot Publishing), and in Clockwork Spells and Magical Bells (Kerlak Publishing). His debut collection, Stone Maiden and Other Tales, has been followed by this new novella. Science-fiction writer Glen Stripling will have a short story published soon through Sam’s Dot Publishing’s Martian Wave. Originally established by Sam’s Dot creator James Baker, Martian Wave is an annual science fiction magazine dedicated to the exploration and colonization of space. James Baker began Sam’s Dot under the original name of ProMart Publishing with the idea of shining a light on poems, flashes, short stories, novellas, and novels by great upcoming writers of science fiction. After his death, ProMart Publishing became Sam’s Dot Publishing and continues his work with the addition of fantasy, dark fantasy, horror, steampunk, and paranormal. They have won a few awards, and even bestow the James Baker award to a few of the authors who write in their magazines. Perhaps Glen Stripling, author of the mystery science-fiction novel Chronosia, will join those ranks of winners with his new short story. His science-fiction short story called “The Geysers of Enceladus,” will be released in 2012 Martian Wave scheduled to be out on May 1st. Look for it either at Sam’s Dot Publishing or Smashwords.com! To learn more about Glen Stripling, visit his website at http://www.chronosia.com. CANCELLED = the Old Hickory Mall in Jackson, TN on July 9, 2011! At The Old Hickory Mall in Jackson, TN there will be some small/vanity press authors who will be selling their books and they would like to meet you! James Beverly of the Seamus the Sheltie children’s book series – available from Nightingale Press. H. David Blalock of Ascendant, Emperor, and the newly released High Kings – available from Sam’s Dot Publishing. Tyree Campbell of The Dog At The Foot of the Bed and the newly released The Quinx Effect – available from Sam’s Dot Publishing. Stephen P. Dorning of Stars of Kanri and Spheres of Ryk-Tar – available from Fifth Estate Publishing. Herika R. Raymer of short stories in Dragons Composed (Kerlak Publishing), Infradead (Sam’s Dot Publishing), Potter’s Field 4 (Sam’s Dot Publishing), and the recently published Best Left Buried (Pill Hill Press). Henry L. Sanders of Blood Journey (Sam’s Dot Publishing) and Dark Eden (Sam’s Dot Publishing) as well as numerous publications of poetry. Please be sure to mark your calendars and come out and visit with the authors, chat for a bit, and possibly walk away with a new story or piece of poetry! It looks to be a promising day – come out and share it!